With a little research and the right resources, you can find a free coat of arms to add dimension to your genealogy work. Several sites offer these graphics free, allowing you to enhance everything from family tree charts to presentations and slideshows for your next family reunion. The following websites offer free family crests and coats of arms, as well as information on lineages and heraldry. Some of these are free to view; others are free to download and use. The Armorial Register - International Register of Arms offers a wealth of information about heraldry. This is the definitive source for nobility and royalty in the United Kingdom, Ireland and the United States. You can search by surname and view the coat of arms associated with that family. The Tree Maker is a retail site, but they do allow you to freely search for and view your family's surname, coat of arms, and brief history in their database. This site also gives the country of origin. This information is very enlightening for beginners in genealogy. Even if you can't find your family surname, you are invited to call the company and they will search for you under different countries and spellings. All Family Crests allows you to view your family crest, coat of arms, or shield. This site displays worldwide graphics with German, Australian, Scottish, Italian, Spanish, Welsh, English, Canadian, and American origins. You get to see both the picture and the history and meaning. These are fully printable, making this a very valuable website for the genealogist. Free Coat of Arms allows you to search through 1,200 coat of arms listed on the site. If your surname is not listed, they invite you to return later since the database is continually being expanded. In association with heraldry on the Internet, this website offers helpful information on heraldry symbolism, software, personal websites, and coats of arms. House of Names is a retail site that offers free viewing of coat of arms and family histories. It will cost you to download products with the graphics however. Currently, they have free descriptions of more than 800,000 coats of arms, making it one of the largest databases in the world featuring coats of arms and surname histories. Ancestor Hunt offers a list of surnames with corresponding free coat of arms sites to help you locate your family's crest. The list is divided in half alphabetically, and the site can be challenging to use. However, the free information is worth the effort. Heraldry features free coat of arms for more than 8,000 surnames. In GIF / JPG format, these graphics of coats of arms are from Ireland and all around the world. No membership is required. You will most likely find a family crest for the original spelling of your family name. If you have traced the records back to an ancestor who had the original spelling, then it is still your coat of arms, even though the name may be spelled differently in your line today. Check several different variations if you are having trouble. Remember that most coats of arms were assigned to one particular family and not to the surname in general. This is an important thing to remember because unless you trace your lineage directly to the individual or specific family who obtained the coat of arms, it is possible you may not legally have right to claim it. In laying claim to a particular coat of arms or title, every ancestor must be fully documented back to the source, the individual who received the coveted title (Duke, Lord, Knight, Count) or coat of arms. Not every family had a coat of arms. If you are unable to find a coat of arms associated with your surname, you can try another name from your family tree. Once you obtain your free family coat of arms, you can create everything from family slide shows to family trees. You might even decorate your personal website or take the graphic to a printer to have any number of products created. However, if you're using a free site, be sure you have the artist's permission to use the graphics as you intend. You don't need to pay a lot of money for graphics or buy expensive products to view your family's coat of arms. Luckily, many Internet sites provide this information free. 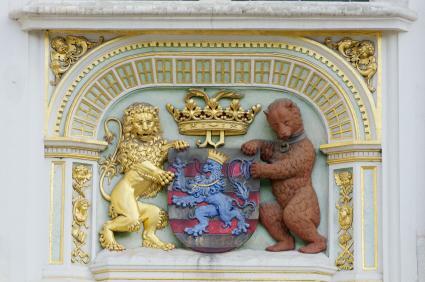 Once you find your coat of arms, you can use it to enhance your genealogy research further.